OVER £5000 in cash prizes are up for grabs in the 17th Alderney Angling Festival, which takes place in early October. Originally conceived by the angling ace Mr Roddy Hayes in the early Eighties, the Alderney Angling Festival has grown to be a premiere event in the <?xml:namespace prefix = st1 ns = "urn:schemas-microsoft-com:office:smarttags" />UK angling diary and is staged at a time of year that represents Alderney’s premiere season for angling. Summer species are still lurking whilst winter visitors abound and competitors from far and wide are expected to descend upon the island’s shores to compete. Indeed the pay-out will be even bigger if any records go, with £5000 bonus up for grabs for a British record and £2000 for a Channel Island record. 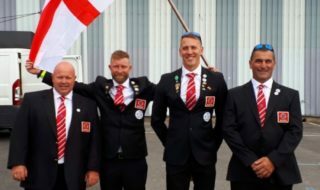 Has anyone ever broken a British record during the Festival? The answer is yes. 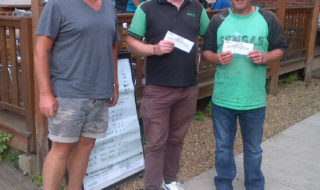 Jonathon Reeves set a new target for golden grey mullet with a fish of over 3lb and won a prize of £3,000. Target species range from mackerel, garfish and Pollack on the float, to wrasse, big mullet, plaice and sole and spool-emptying tope. The specimen list is unrivalled and the quality unsurpassed. 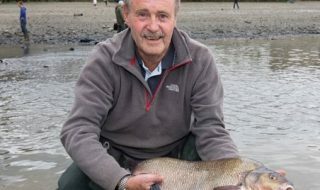 Highlight fish over the years include a near 14lb bass, a 57lb conger, a 67lb tope, (which was hooked just outside the mouth and didn’t count), a sole of 5lb, a blonde ray of 17lb and a black bream of nearly 5lb. So what are the best marks? Well, Alderney is one big fishing area. For newcomers, the Breakwater is a good bet, but extreme caution must be followed as it is liable to swamping at anytime during these months. 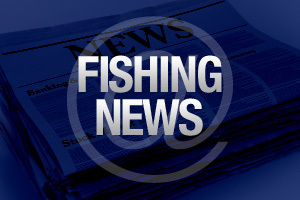 Platte Saline beach is another favourite and produces winning fish every year. The Lighthouse and Raz Island are also worth investigating. There is some excellent fishing to be had on the cliff-lined South coast, but this area should never be attempted unless with a good knowledgeable party and in the daylight only. In the last 20 years, over a dozen British records have come from Alderney, which makes it the number one angling hotspot in the UK. The competition categories for the 17th annual Alderney Angling Festival are: Best Ballan Wrasse, Best Bass, Best Bream, Best Conger, Best Plaice or Sole, Best Thick Lipped Mullet, Best Other Specimen (under 5lb and over 5lb), Best Garfish or Mackerel, plus a Daily Prize. Minimum prizes for winners in any of the above categories are: 1st Prize £200; 2nd prize £150; 3rd £100; 4th £75; 5th £50. In addition, top prizes are awarded for a New British Record (£5,000), a New Channel Island Record (£2,000), a New Alderney Record (£500,) Best Overall UK Angler (£150) and Best Overall CI Angler (£1500). As always, hospitality is almost as important as the competitive element of this annual event which will start with a Pre-Festival Meeting on Friday evening 4th October at the Albert House with buffet and beer courtesy of Bavaria Beers. The last weigh-in is on Saturday 12th at midday, followed by the Informal Prize-Giving at 2pm and the festival concludes with a Disco Party at the Butes Centre that night, from 9pm until 1pm.